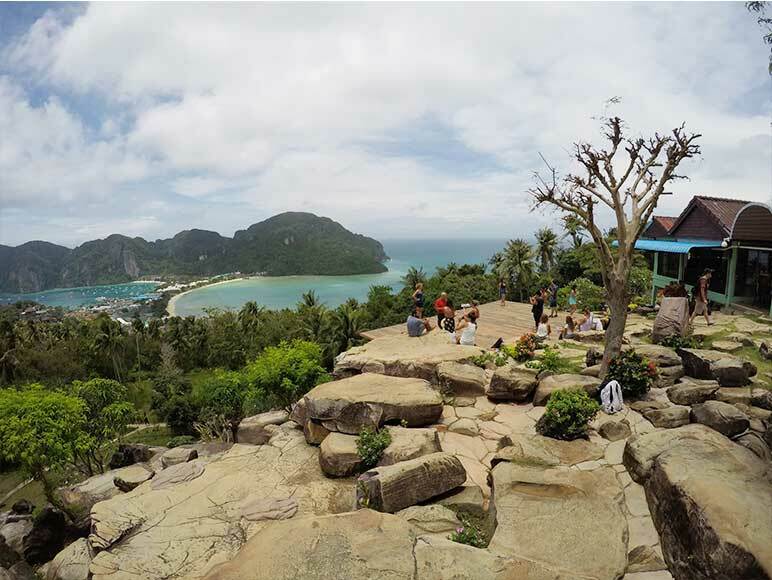 Visit Phi Phi island viewpoint from Phuket with the most wanted Phi Phi Island viewpoint tour from Phuket. The view is raised on the hill top, which is not really large or long to reach. It is a brisk walk if you are feeling energetic and should you may have a relaxing 30 minute stroll into at very best. The travel up is not difficult the trail can be usually well ventilated, paved to make the walking easier. There is lots of places in the shade, you can seat on the way, have your break.Actually the very first portion of the climb is the most extreme because is all made by stairways scale which let you climb up the first stiff part of the the hill, but that is followed by the next trail much more pleasurable and simpler to walk. We now all find that a tropical garden following a twenty minutes walk through the jungle. You have arrived! 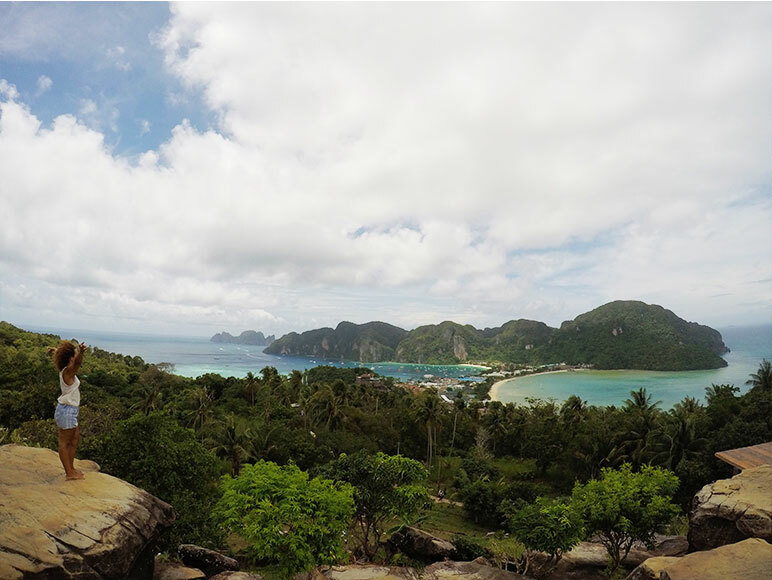 Visit Phi Phi island viewpoint from Phuket. The tour bring you to visit the famous viewpoint right at the perfect time. The very ideal time to observe turquoise warm colors and the blue in the bays is from about 10 am — 2 pm. You’ll be so pleased to arrive on top and witness this stupefying view and collect so many unrepeatable pictures. Remember to bring at least a small bottle of water you’ve got the water with you, although there are just 2 stores and a new bar in addition, on to the hill top, selling beverages. 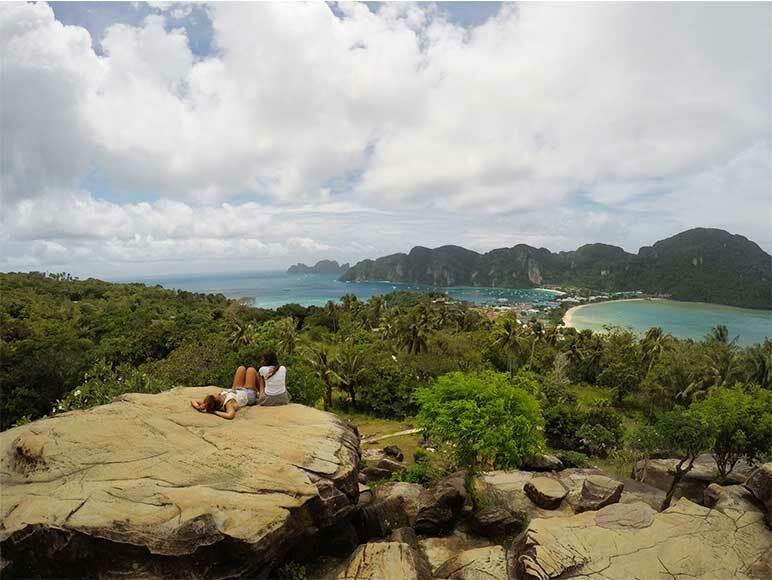 Here you will discover the very best view in Koh Phi Phi. Stones make the perfect place for sitting, a wooden zone is now added to give more sitting place, depending upon the period and time of day may get crowded. In Viewpoint 2 you’ll also discover a little store selling beverages and snacks. So many guests has always commented after the tour than it would really be a pity to never go to see this view. 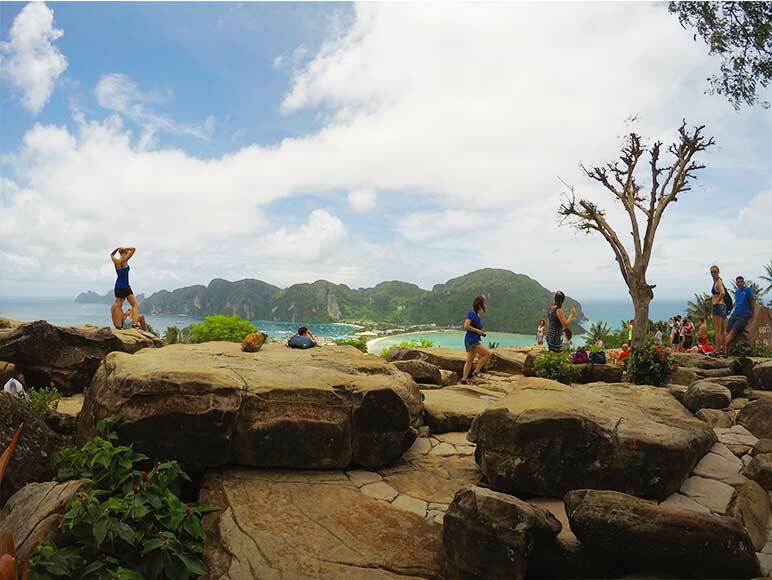 So many has commented that heading to the viewpoint at Phi Phi Island was among their favorite elements of their vacation visiting Thailand!